Apple moved into their spaceship this year. I wrote about it while under construction and now you have probably have seen finished photos all over. If not, here are some.But today’s narrative is not about this inspired headquarters. 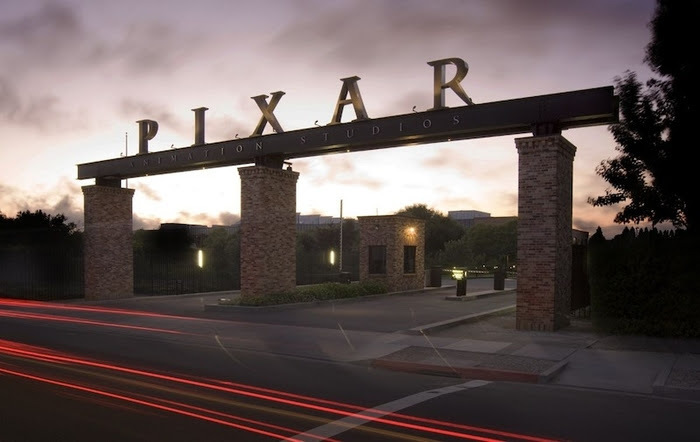 Today, I want to talk about Pixar’s headquarters built in the late 1990’s. The standards of creative office (and all the baseline design for the new Apple HQ) came out of Job’s vision for one of his early companies. · Open space so that the workers could be more creative. · All specialties among workers were split up within the premises. · A cafe, foosball, fitness center, two 40-seat viewing rooms, and a large theater—keeping them in the office longer. · Open atrium so people will run into each other creating interactions. –Good design lasts—we know that but in office space, it’s the same. We can build something that we love that does not need to be torn down every 5 years. –Committing to what you need is critical. We know how you work today. What works, what doesn’t. Where is technology taking you and your team? –Having the right team is paramount. This includes brokers—that’s us—plus design, contractors, furniture, etc. Make sure the team is the right on for you and your business. 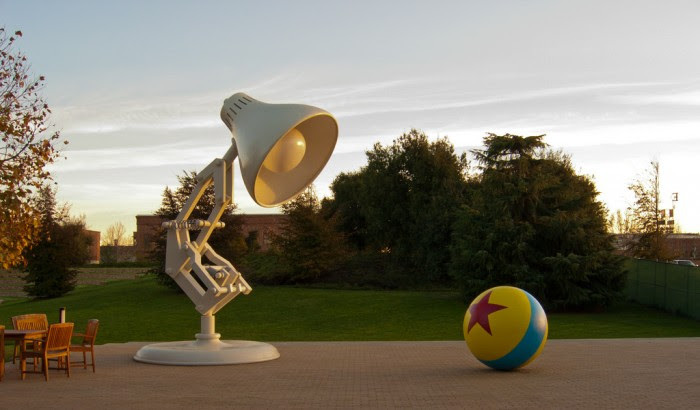 A New Campus VisionThe story behind Pixar’s headquarters starts in 1999 with Steve Jobs. 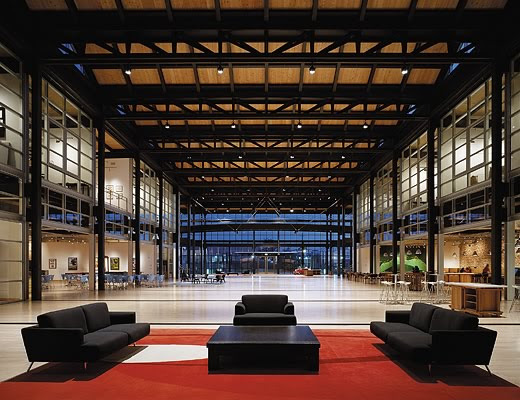 As Pixar’s CEO, Jobs brought in Bohlin Cywinski Jackson – famously known for designing Bill Gates’ Washington residential compound – to flesh out his vision for the campus, which was planned to hold up to 1000 employees. The Atrium and Unplanned CollaborationsPixar’s campus design originally separated different employee disciplines into different buildings – one for computer scientists, another for animators, and a third building for everybody else. But because Jobs was fanatic about these unplanned collaborations, he envisioned a campus where these encounters could take place, and his design included a great atrium space that acts as a central hub for the campus. 1. Be intentional about designing for collisions and unplanned collaboration – rather than using managerial force. 2. Use the office space to remind employees why they work for the company. 3. Make the office fun and a place employees want to work, rather than have to work. 4. Allow employees to express themselves through their workspaces.